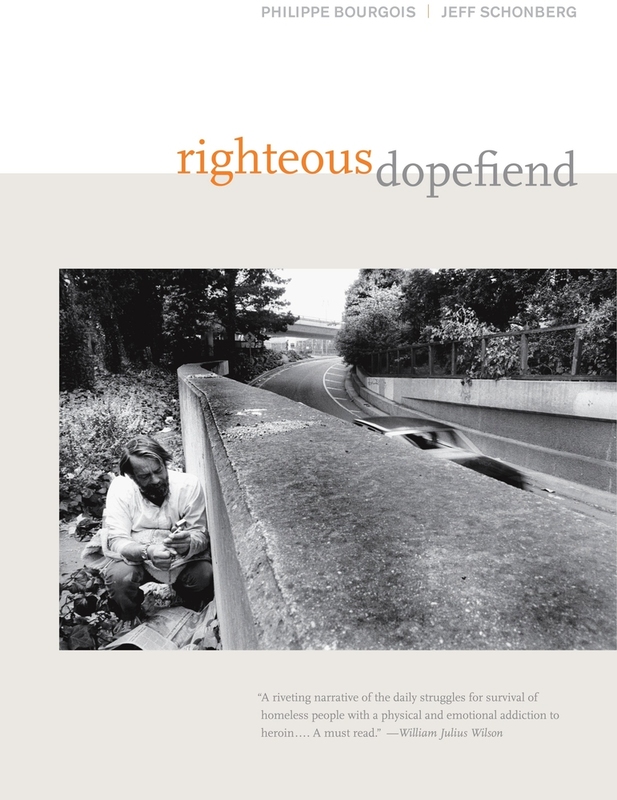 This powerful study immerses the reader in the world of homelessness and drug addiction in the contemporary United States. For over a decade Philippe Bourgois and Jeff Schonberg followed a social network of two dozen heroin injectors and crack smokers on the streets of San Francisco, accompanying them as they scrambled to generate income through burglary, panhandling, recycling, and day labor. Righteous Dopefiend interweaves stunning black-and-white photographs with vivid dialogue, detailed field notes, and critical theoretical analysis. Its gripping narrative develops a cast of characters around the themes of violence, race relations, sexuality, family trauma, embodied suffering, social inequality, and power relations. The result is a dispassionate chronicle of survival, loss, caring, and hope rooted in the addicts' determination to hang on for one more day and one more "fix" through a "moral economy of sharing" that precariously balances mutual solidarity and interpersonal betrayal. Philippe Bourgois is Richard Perry University Professor of Anthropology and Family and Community Medicine at the University of Pennsylvania. Jeff Schonberg is a photographer and a graduate student in medical anthropology at the University of California, San Francisco.